"Why don't you two have a nice chat while I call my divorce lawyer." My original caption: "Oh, it's you, dear. Can I have a divorce?" First of all, I suspect "Anonymous" is really Cary Antebi being a little careless in how he submitted the set of five captions that included the winning caption. I'll try to find out for certain, and will post any information I get as soon as possible. Anyway, congratulations to Anonymous for this victory -- it's a first! Whoever you are, you are now officially one of the funniest people around. In a nutshell, be brief. As the immortal Bard said, “Brevity is the soul of wit / And tediousness the limbs and outward flourishes.” I know there are reasons to doubt that advice; for one thing, the Bard could drone on a bit himself, and for another he wasn’t immortal. 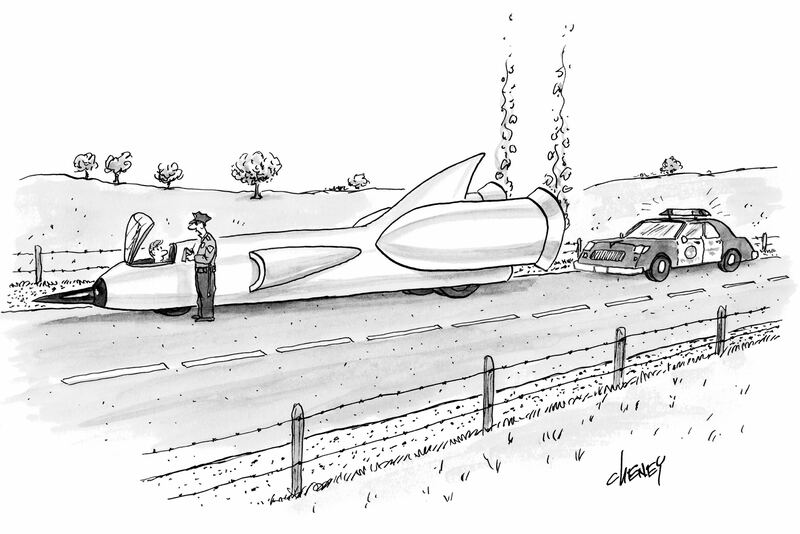 Nevertheless, data gathered from our Caption Contest illustrate the point. Each week, there are about five thousand entries to the contest. However, there are by no means five thousand different entries. Below are some entries, from a recent contest, that all used the same joke. They appear alongside the ranking they received from our crowdsourcing algorithm. So, to sum up, when you come up with your caption, look for the essence of the joke and then remove the tedious outward flourishes. Now that sounds like some pretty good advice. My next contest will be up in just a couple of weeks. Good luck to all of you in the New Year -- hope you have a happy and healthy one!